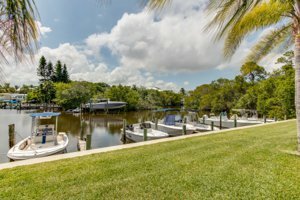 Jupiter FL waterfront homes within Sims Creek Jupiter rarely offer the opportunity and do not last long on the market. 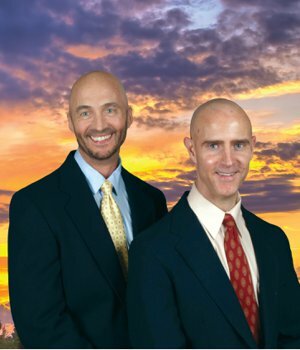 Jupiter waterfront homes for sale in Sims Creek Jupiter FL HOA info. Jupiter waterfront home searchers will want to see what makes these homes special for boaters. Some homes provide quick easy access to the Loxahatchee River intra-coastal waterways and on out to the Atlantic from your own backyard. Jupiter waterfront homes for sale with water access opportunity do not last long. Sims Creek waterfront properties Jupiter community is one of very few that offer the ease of access for boaters to enjoy the beautiful Florida waterways at an affordable price. This pet-friendly community which got its start in the early 1980's with the building of the 2 story townhomes and 1 story duplex's and later with the construction of the single-family homes. Both of the 2 story quad townhomes and 1 story duplex townhomes construction began in the early 1980's. 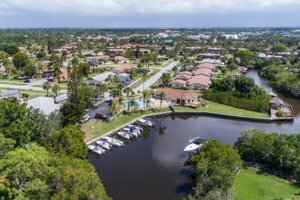 There is a large community pool with a clubhouse overlooking the fork of the Loxahatchee River which meanders through the western edge of the Sims Creek community. These 2 story townhomes have 2 beds and 2.5 baths with 1320 under air square footage and have a large courtyard patio and most are screened in. HOA fees for these townhomes run approximately $225 per month. The duplex style villas of which there are 36 units also have 2 bedrooms and 2 baths with the approximately 1200 sq ft of total living area. HOA fees are approximately $220 per month. Some of these homes have additional areas enclosed adding to the under air square feet. Also, some of these units have garages for up to 2 cars. One of the Sims Creek of Jupiter not widely known jewels are the 53 single-family homes in Sims Creek were constructed in late 1980's into the early 1990's and are located in the heart of town. Sims Creek Waterfront Listings Activity. These Sims Creek Jupiter homes were constructed by the well-known builder/developer of DiVosta. Built-Solid and are distinctive in that they are poured concrete which means they have sound structural integrity, unlike many conventional homes. Floor plans are identical with three bedrooms and two baths and the living area is 1,592 square feet. The HOA fees for these single story single family homes run around $150 per month. What makes the homes uniquely different are the various locations within the community. The homes which are closer to the community entrance may have lake views, those along the southern side may have natural preserve views and the homes on the west side are waterfront homes with ocean access for small boats through the Jupiter Inlet. Inside you will find eat-in kitchens, many with upgraded counters with granite and screened patios perfect for enjoying the tropical weather we have here. Most of the homes also have hurricane shutters and tile floors. If you are looking for an affordable 3/2 with an attached 2 car garage very well built in a central Jupiter location, homes in Sims Creek might be a perfect fit for you. If you choose a premium waterfront location, you may get a private dock with a boat lift that will allow you to head right out the Jupiter Inlet to the ocean for a great day in beautiful aqua-blue waters for swimming, diving or fishing. There is also a community dock with use on a first-come, first-serve basis when availability allows. Like most locations in Jupiter, most everything you could need is close by. Many different restaurants, like Old Florida Bar and Grill, are close by and there is plenty of grocery stores and produce markets to choose from. The Harbourside entertainment development has many additional dining and entertainment choices to pick from. Tommy Bahama restaurant, Calaveras Mexican Cantina, Bravo Italian and the well known Tiger Woods only restaurant "The Woods" is a fan favorite. Get MORE JUPITER AREA INFORMATION HERE. 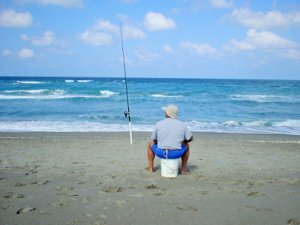 Our well-known beaches are only a short few minutes away for a number of options from World class fishing, boating, and diving to soaking up some sunshine with friends in your beach chairs. Jupiter Inlet and the famous Jupiter Lighthouse are also just a 5-minute drive. See all currently listed Sims Creek properties now available below. HOMES IN THE SIMS CREEK COMMUNITY WILL GO QUICKLY WHEN PRICED WELL. BE SURE TO GET ON OUR ADVANCED NOTICE LIST TO RECEIVE IMMEDIATE NOTICE OF THE LATEST LISTINGS PRIOR TO OR WHEN FIRST PRESENTED ON THE MARKET IN THE MLS. Please Note: If there are no properties showing there are none listed at time of search.